Q: Think of a popular TV show about cooking. I guarantee it's a show everyone has heard of. Remove the second and third letters of the first word and insert them after the first letter of the second word. You'll get a phrase for a different kind of cooking. What is it? The only thing I can bring to the table this week is to think outside the box. Edit: My hints were table and box. We have the periodic table of elements made up of boxes, and the "Breaking Bad" logo has Br and Ba inside boxes representing elements. Box also refers to a bread box as well as truly thinking outside the box for other ways of "cooking". This show's recipes are very challenging and the ingredients are rare/scarce. So, I have never tried to follow the course of the lead chefs. The principles are hard to follow, let alone incorporate them into your own cooking. The understudies have been great. One sous-chef was abruptly cancelled. (He clearly threatened the main cook.) Another understudy--wildly funny, but really not that great a cook-- is nevertheless getting his own show that will appear on cable later in 2014 or 2015. The show probably did more than any other show (since Ironsides) to demonstrate the challenges of living with a disability. Also helped underscore the importance of early cancer detection. Don't mess with perfection, saukriver. All the hints (including one of the on-air questions) lead to the same show, but I just can't make it work. Is there some trick in the wording of the challenge that I should be looking for? So far I haven’t thought of a single clue that couldn’t be considered a dead giveaway. So I will just echo what Blaine wrote: think _way_ outside the box. Could it be CHUCK'S DAY OFF? Way ... outside the box? I'm thinking ... just the other box ... but that's just me. I have the answer, but I have never even heard of the TV show, so Will doesn't have it quite right that "everyone has heard of" it. Right there with you, ron. . .It is a little clever though and reminds me somewhat of a puzzle from the past several months. Surely, you have heard of the show. Hard to believe you'd get the answer otherwise. I followed the hints and used the Google, but it took some tries. When I finally saw it on the results list, I realized it was right. Thing is, I had been thinking in reverse as to which half of the puzzle was out of the box. All right, Edward F., I knew of the show in some peripheral corner of my brain...but I've never seen it. I actually got the second part first. Welcome, and thank you for not posting the answer! I just have to wonder -- has matt r solved this puzzle? Yes, Paul, and I wonder how many lurkers are out there compared to posters on Blaine's Blog. Quasi-lurker. I didn't get the answer this week, but my discussion with another puzzler led to him having the "eureka" moment. I've heard of the show, but have never seen it, so I didn't know it was a cooking show. Too bad for me! The words "guarantee" and "everyone" in Will's clue must be questioned. Unless...? Unless Will Shortz is GOD? I actually thought that "guarantee" was a hint in itself, as fans of a certain 80s PBS cooking show might get....but that thought was a red herring. Again Will is not playing fair with us. I know zero about this show, but I just a bit ago managed to find the answer by accident. I won't reveal how I stumbled across it until Thursday next. Until then you will have to rise to the occasion yourselves just as I did. Au contraire, methinks this a fine puzzle, not bad at all. Tiptoe through the tulips. . . If you Google the name of the show and the new phrase, you'll find in no uncertain terms that many others have discovered this connection. Interesting that a double negative can connote a stronger image. Are there others that spring to mind? I used to work with the author of that blog entry when we were at Bell Labs. So, don't gimme none of that "double negative" stuff. You can't believe anything atoms say - they make up everything. Small world. Did Bob K get your punchline, jan? Oh, I'm positive he's heard it before. Small world? It's claustrophobic! Not only did I used to work with the linguist you cited, my in-laws used to play tennis with the guy who gave him bar mitzvah lessons. Him: I knew a girl in Massapequa. Her mother plays the piano and she sings. Me: Oh, yeah, Joanie Lerner. I used to date her. How about trying to convince your family members that the lady standing on the Four Corners point (CO, UT, NM, AZ) is your 80-year- old great aunt? My mom could not believe Aunt Marie from MA could be there. It was the only point in our journey we crossed paths as we were headed west and they were headed east. Neither group knew the others were traveling there. ... AND you can spell "aunt" with the letters of the postal abbreviations of those states. Too bad her name is Marie instead of something REALLY concidental, like "Cozm" (short for "Cozmic">?). Many baby girls born in the late-1960s/early-1970s were named Kozmic (often misspelled Cozmic) after this classic Scott Joplin ragtime tune. Speaking of coin-cidences, this week’s third Puzzleria! puzzle deals with a coin-ed word! The show definitely promotes dieting. 3. When dangling, watch your participles. 4. Don't use commas, which aren't necessary. 5. Verbs has to agree with their subjects. 6. About those sentence fragments. 7. Try to not ever split infinitives. 8. It is important to use apostrophe's correctly. 9. Always check what you have written to see you any words out. 10. Correct spelling is esential. Excellent!!! Earregardless that some were given to I before. Now we need some of these for pronunciation, such as Nazyism, vigilantyism, Artic and Aunt-Artic. 11. Avoid getting the "get" habit. A preposition may not be the best word to end a sentence with. I guarantee it's a show everyone has heard of. . .
dumpsterdivelad, I don't get it. Terrific, Chuck! Made me chuckle. And when comforting friends, "there, they're, their" is "too, two, to" good. What happened on July 4th, 75 years ago ? Not being a baseball fan, I have no idea. Mr. Science, Lou Gehrig's amazing farewell speech. So, your Great Aunt was 5? RoRo, the Four Corners meeting was a while ago...She was a tad older by then! She had some great stories about my grandmother, though. Oh I meant was she five during Lou Gehrig's speech but if she is eighty now and not when she was at the four corners that would be different. Don't know, I am beginning to bluther. Must have had one of those cupcakes. She was 80 in the 80's, RoRo. Enjoy the confection. Well, I have tiptoed through the tulips, thought outside the box, stood at the 4corners, called my aunt, called my grandmother and dangled many infinitives with double negatives, but I am not getting this puzzle. Any clever clues out there? Thanks. Your post made me laugh (though I'm sure it is frustrating for you). We do get a bit off topic, jutchnbev, don't we? It sounds to me like it's time for you to use one of your lifelines and call Harriet. Other than that, I would suggest you pay VERY close attention to the exact wording of the puzzle. Even though, as WW notes, we may get a bit off topic, still, as Shakespeare wrote in Hamlet, . . . . no, I've been advised I'll have to save the exact quote 'til Thursday. Thanks, Bob. Your hint did it for me. So relieved. My inability to figure it out was driving me...insane. Sorry to hear that, jan. I think the Old Testament has practical answers on how to deal with spousal abuse. Am I the only blogger who's truly irked? I guess I can't complain too loudly since a number of my fellow Blainsters got the answer, but I think Will needs to be fairer about the clues he gives us. Good for you WW. SDB, I'm sorry you're not a baseball fan. Too bad. You'd have liked Mr. Gehrig. Modest, humble, easygoing, courageous. And since you already know the answer to the challenge, you can safely ignore him. jnb, ^^^ what Mr. Science said. And let us know. . .
thanks for the hint WW. This week's puzzle is very similar to a recent puzzle. But, to misquote Dale Berra, Yogi's son, the similarities are different. And the differences are similar (to quote Boo Boo). There's not much uncertainty with the answer, is there? I've been stranded on an island for the last 5 years and have never heard of this show. Somehow I got the answer but I won't disclose my method for solving. A puzzle that’s been flummoxin’ and outfoxin’ dumb oxen and lummoxen for more than four decades involves hijacking, extortion and a parachute. I have proposed a possible solution over at my Puzzleria! blog. And it involves a regular comment contributor over here at Blainesville! Trying to figure this out got me looking up all the old cooking shows. Very nostalgic. And it reminded me of something that my older brother once said to me when he was teaching me how to cook. I asked why I had to add the ingredients in the particular order and he said: 'It's the chemistry of cooking'. I never watched the show in question, but not because I don't enjoy southwestern cuisine. Maybe it's because it makes me produce too much methane. Or maybe you thought it might affect your image. Whew! I finally had an aha moment about 4 this morning. I woke up from a deep sleep and there it was, the answer shot like a BB gun into my brain. I didn't think I was going to get to submit an answer this week. Thanks for the clues. In the aftermeth,the clues were all very good. Who gets to wear cooler outfits, busters or bustees? If you're bustier, wear your bustier. A BB into your brain? Not likely, but please be careful anyway --- You'll shoot yer eye out! "It is a little clever though and reminds me somewhat of a puzzle from the past several months." That puzzle was the BRAD BETH, BAD BREATH puzzle of a few weeks ago. The 4 Corners story about my great aunt was a GOOD BREAK and may or may not have been a coincidence ;-). Mr. Science, your Lou Gehrig speech clue including BAD BREAK was just inspired! Or, maybe I am thin skulled. I risk, perhaps, stating the obvious here, but BB was a clue, as was "aftermeth". The hint I noticed on-air last Sunday had to do with 'times'. It may be the same hint Lorenzo noticed, but I can't guarantee that. Methinks someone on 'the other blog' NotICEd a different hint, but I'll say no more, because I don't want to get that individual in trouble. Me also thinks WW called me a vampire, of all things. Fangs a lot, WW! I try to say only nice things about you! Seriously, I thought saukriver captured the essential spirit of this puzzle perfectly. Is it the irony? I hesitate to use that term for fear of misusing it and being horselaughed ... at. I actually googled 'crohef' hoping it might be some sort of cooking vessel. Now THAT is irony; I guarantee it. I did not call you a vampire, sir! My Dracula clue was meant to point to the rhyming spatula which, I believe, is a kitchen implement used in cooking meth. Not sure what the bolded and italicized n's and ice's mean. Kindly illuminate, Paul. The hint is “rise,” which hints at bread kneading (sic) to rise. I had not heard of this “cooking” show. It is not a cooking show. I might never have found the answer were it not for a couple of the hints here. The hints at us thinking outside the box got me to the answer, but not the intended way. I finally thought box might refer to the toilet box for a pet, since pets don’t tend to eat in their toilet box, and began Googling for TV shows having to do with cooking pet food. No results that worked. I then tried making it specific to cats and again was getting nowhere and was going to stop, when the last one I was looking at on a Google list had something to do with a cat, but not cat food or anything I expected to find. I could see the words “Breaking Bad” and it got me to the answer. It may be clever, but I do not see this as a cooking show, nor a program “everyone” has heard of. Poorly worded again. I still do not understand what this program is really about because I did not want to read past all I needed in order to be sure I had solved the puzzle. I despise drama revolving around drugs and am not at all interested in knowing anything more about it. My hint: "slippery slope," purports to describe Walter White's demise. Last Sunday I said, “So far I haven’t thought of a single clue that couldn’t be considered a dead giveaway. So I will just echo what Blaine wrote: think _way_ outside the box.” Dead as in Gale Boetticher and Gus Fring. TV Series about “Cooking Meth,” BREAKING BAD. “A different kind of cooking,” BAKING BREAD! > Au contraire, methinks this a fine puzzle, not bad at all. > If you Google the name of the show and the new phrase, you'll find in no uncertain terms that many others have discovered this connection. I think I might have misunderstood this puzzle’s directions. I removed only the second letter from the first word of the cooking show, and placed it after the first letter in the second word. This, of course, yielded “Beaking Brad” (Sure, Brad, of “Brad and Beth” fame, I thought). And I assumed that “beaking” was some kind of meth lab slang for “pouring cooked liquid meth from a science lab beaker into the ‘beak’ of some poor bird like Brad.” This would presumably result in a case of Brad Beth… er, I mean bad breath. Is this a “different kind of cooking?” No. I guess it’s not so much food preparation, but falls more into the food presentation and service area. So, no lapel pin for me this week. A little late to the reveal, but I just finished packing for vacation. At the end of last week's thread I posted, "So here's how I solved the challenge: I assembled a panel of Paula Deen, Emeril Lagassi, Daniel Beard, Julia Child, and Yan. Had them sit down and confer for two hours. Came up with nothing. Then I took a shower, and Bingo!, there it was." Which was true in spirit, and not intended as a hint, though in retrospect I might say that having all the chefs come up with nothing indicated it was a different kind of cooking. Later I wrote, "we may get a bit off topic, still, as Shakespeare wrote in Hamlet, . . . . no, I've been advised I'll have to save the exact quote 'til Thursday." The most famous advice giver in Hamlet is Polonius, who says something like, "May be madness, but there is METHod to it," a nod to the drug. (I was astounded when jsulbyrne thanked me for giving him the answer with that hint, but use of the word "insane" was proof of recognition! 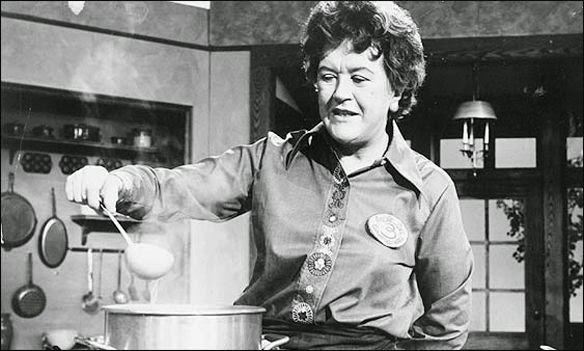 Ruth, please read the challenge again: "Think of a popular TV show about cooking. I guarantee it's a show everyone has heard of. Remove the second and third letters of the first word and insert them after the first letter of the second word. You'll get a phrase for a different kind of cooking. What is it?" Obviously, there is no show that everyone has heard of, but to quote a small part of the Wikipedia entry for Breaking Bad, "The series has won numerous awards and nominations, including ten Primetime Emmy Awards with one for Outstanding Drama Series. For his portrayal of Walter White, Bryan Cranston won the Primetime Emmy Award for Outstanding Lead Actor in a Drama Series three consecutive years in 2008, 2009, and 2010." You had to start with the name Breaking Bad and perform the letter movement to get "Baking Bread." The latter is not nor was it intended to be a show title. I was not irked, Ruth, nor can I lurk. "The show about cooking" phrase was ok by me since it did not say what was being cooked. My only beef is with "everyone has heard of." Had Will said almost or nearly everyone I would have been happier. Ah, thank you Bob K. and my cybersibling WW - I now see the error of my entire approach to the puzzle. If I'd limited myself to one TV show rather than two (one about cooking and the other about "cooking"), I might have saved myself a few days of frustration. Relieved in Raleigh...albeit with some embarassment to go along with it. And now a few words from Mr. Gehrig, spoken on July 4, 1939: ""Fans, for the past two weeks you have been reading about the bad break I got. Yet today I consider myself the luckiest man on the face of this earth." Like some of you, I had never heard of the show either. But by Tuesday I was treating every tv show as a potential candidate, moving letters and coming up with gibberish. Then a blurb appeared on some cable channel heralding the arrival of "Breaking Bad." To quote James Whitmore: "I near soiled myself." So I was house cleaning Christmas week when the Breaking Bad marathon came on tv. I was not paying much attention at first til I realized this mild mannered teacher was becoming quite an ego-maniac with close calls beyond what most people would experience so I watched til the house was clean - long time, have a messy family. However, since my agency (mental health) has only recently merged with substance use, I am still on a learning curve and did not know you could further bake the crystal meth into brownies. So my hint of "not dealing with brownies" was not correct. I googled and discovered a guy who specializes in baking meth into cupcakes. I have not as of yet, contacted him for samples. CS Ruth, it was a tricky puzzle but was carefully worded (except the everyone part). Getting the wording just right is the best part of a good puzzle for me. My longing is for puzzles that explore more meaningful arenas--scientists discovering new things, artists creating magnificent pieces of work, geography, history, physics, geology, astronomy, medicine, music, anything but a show about meth which, I just learned, is also called ice or Tina [why?] (Still don't get the "n" thing though, Paul). Nice is the opposite of bad? I thought good was the opposite of bad. Nice is the opposite of not nice ;-). As far as I can tell, the origins of "Tina" for meth are obscure. It seems to be more commonly used in the gay community (an odd term in itself. Is an exclusive gay community a gay-ted community?). One line of speculation is the transformation of crystal meth -> Christine -> Tina. Another is that the drug is commonly sold in one-sixteenth of an ounce packages (really? ), so sixteenth -> teenth -> teena -> Tina. I find none of this compelling. Nor do I. But, thanks for the scoop, jan.
As to nice, Spanish has a word for "not nice"-- antipatico (vs. sympatico). Wonder why English doesn't have such a word and if many other languages do. How about Spatula -> Turner -> Tina ? Maybe this will teach me not to hmmmm... out loud. Doubtful. Nothing has in, lo, these many decades. The opposite of nice is naughty. I thought everyone knew that. You still have five months to learn it. Paul, the Spatula > Turner > Tina reference makes the most sense to me so far. Please continue to hmmmm aloud. It makes for lively "conversation." It was the combination of bolded and italicized letters and words in your post that was confusing. Naughty vs. nice may work for Santa but it's not a true (north) polar opposite in my book. Going back to the olden days of TV, I have to agree with you that George Fenneman was excellent, however you will have to agree that Ed Ames was a cut below the rest. Speaking of humor with a Jewish twist, is it true that Orthodox Jews are forbidden to use Kindles? I was told this is because Moses used Tablets. In the Book of Genesis, Eve and Adam picked Apple laptops to cover their naughty bits before moving on to fig leaves. Was that Edward Scissorhand, The Mohel? I have trouble understanding the archaic form of English Jesus spoke back then. Also, I thought Eve used a Compaq. Another question that has been bothering me is whether Adam actually had naughty bits before God ribbed him and gave him Eve. I mean, how could they be considered naughty before there was anything naughty he could do with them. Oh, I almost forgot about the snake. Never mind. My hint "...method of solving" referred to crystal meth. Actually, the puzzle solution was hiding in plain sight. If you go to the Yahoo search engine and type in “tv show about cooking” it suggests “tv show about cooking meth.” That’s what put me onto the answer. I just now tried that with both Yahoo Search & Google Search without the results you got. Yes, Blaine, and about skydivealtarboy as well. When I type in “tv show about cooking” it suggests “tv show about cooking the books." I guess that's what I get for leading a life of embezzlement! Lego, maybe the search engine knew you enjoyed Fahrenheit 451 . Mine was "tv show about cooking competition." When I type into my search engine “tv show about burning” it suggests not “tv show about burning books" but instead “tv show about burning down houses." I guess that's what I get for leading a life of arson! Right you are, and I was thinking about that myself and was going to include in my post a comment on either my lifestyle or something to that effect, but I did not want anyone to actually think I am pure and innocent. I just am not into drugs. al hasn't been here for awhile. The trick to this puzzle was that most people would assume that the TV show would be about the ordinary type of cooking and that the phrase would be about the more exotic kind. My clue merely points out the direction change - that the TV show, BREAKING BAD, is about the exotic kind of baking (baking crystal meth!) and that the resultant phrase, BAKING BREAD, is about the plain and ordinary type of cooking. Someone who haz watched the show please help me out here. Does the cancer, itself, prove to be less terminal than the protagonist's response to it? "Walter White's name is reminiscent of the poet Walt Whitman. The mid-season finale of season five, "Gliding Over All", is titled after poem 271 of Whitman's Leaves of Grass. During the series, Gale Boetticher gives Walt a copy of "Leaves of Grass." Prior to giving this gift, Boetticher, recites "When I Heard the Learn'd Astronomer". In the episode "Bullet Points", Hank finds the initials W.W. written in Boetticher's notes, and jokes with Walt that they are his initials, although Walt indicates that they must refer to Whitman. In the episode "Hazard Pay", Walt finds the copy of Leaves of Grass as he is packing up his bedroom, briefly smiles and leaves it out to read. This occurs at an especially high point in his life, where he feels that things are coming together and he is succeeding in all his ventures. A poem in the book, "Song of Myself", is based on many of these same feelings, furthering the connection between Walt's life and Whitman's poetry. In the episode "Gliding Over All", Hank finds Leaves of Grass in Walt's bathroom and opens it to the cover page where he reads the hand-written inscription: "To my other favorite W.W. It's an honour working with you. Fondly G.B." Upon reading this, Hank becomes visibly shocked, realizing the truth about Walter for the first time, which provides the opening premise for the second half of the final season." I enjoy Walt Whitman's poetry so may take a look at the series if it's on Netflix. Is it more about family than meth (at least in the beginning)? And the Br(omine) and Ba(rium) in both the Breaking Bad title and in Baking Bread have nothing to do with either process (thankfully). . .
A couple of ranchers are talking about their ranches. One claims he can walk off his porch at sunrise, hop in his pickup truck, pick any direction, drive until sunset, and not leave his property. The other replies that he once had a pickup truck like that. By any chance was that in Crawford, Texas? I dunno, did GWB ever tell this joke? I heard it from one of my uncles. Please ignore the challenge above. It's the one that was published on the NPR Sunday Puzzle website, but is completely different from the puzzle read on the air (which I didn't catch completely)! Given events of the week, Will must have changed the puzzle from the above. The challenge he read on air was different but I didn't catch all of it in the early morn. The original "Next Week's Challenge" posted on this page has been replaced with the challenge that aired on Weekend Edition Sunday's July 20 broadcast. We apologize for the error. Name something in five letters that it's nice to have lots of in the summer. Change the last letter to the following letter of the alphabet, rearrange the result, and you'll name something else that you probably have lots of in the summer, but don't want. Hint: The second thing is a form of the first thing. Given the ease of the "replacement puzzle", perhaps we should all work on the one originally printed on the web site. If so, is Thursday at 3:00 still our deadline? On the submit form, I quoted both puzzles and gave my answer to each one. In fact, I gave a second submission, as I had found a better "second thing". EaWAf - I have an answer to the original puzzle that works but a better answer would involve removing only 3 letters. You agree? Under (or over or both) the sea. Summer puzzle is an early x-mas gift from santa. The first puzzle, part 2 seems to be familiar. yes, benmar, that was my line of thinking!